Need a cure for your kids’ Spring Break Blues? We can cure their boredom at the Club! Spring Break Camp will provide a full day of fun from 7:30 a.m. to 5:30 p.m. during Spring Break! $25 for members or $50 for non-members. Limited spots available. Registrations start February 5th! 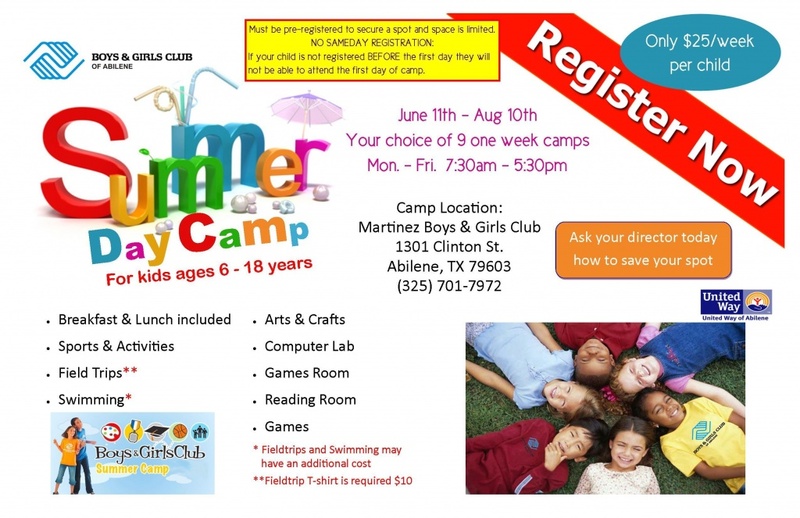 Summer Camp starts on June 11th. Limited spots available and registrations will start May 1st. $25 a week. $100 will secure your spot and you can pay by the week afterwards. Download the application for your student below. You will need a pdf reader in order to read the document. The application will open in another window and you can download it and print it out. Print and fill one out for each student that you want to enroll.